Google’s Custom Search Engine (Google CSE) enables site owners to define their own search engines for their website. 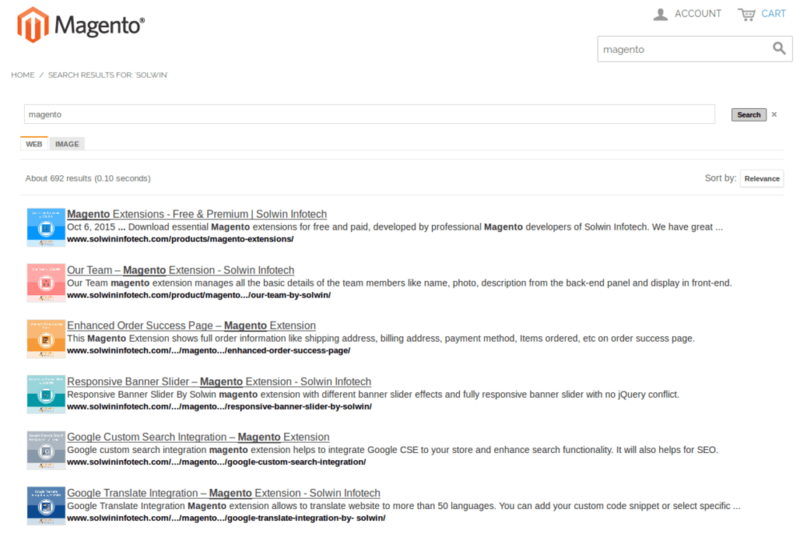 Google custom search integration magento extension helps to integrate Google CSE to your store and enhance search functionality. It will also helps for SEO. This extension works in Multi-store environments. And improve your google search result with images. All you need to fill up Search Engine Unique ID. Admin can enable/disable Autocomplete feature – which makes querying even faster. 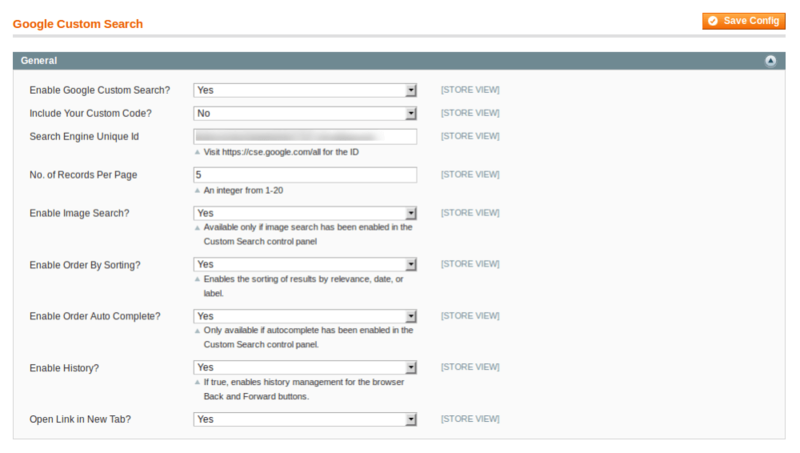 Admin can enable this extension from Admin -> System -> Configuration -> Solwin -> Google Custom Search. 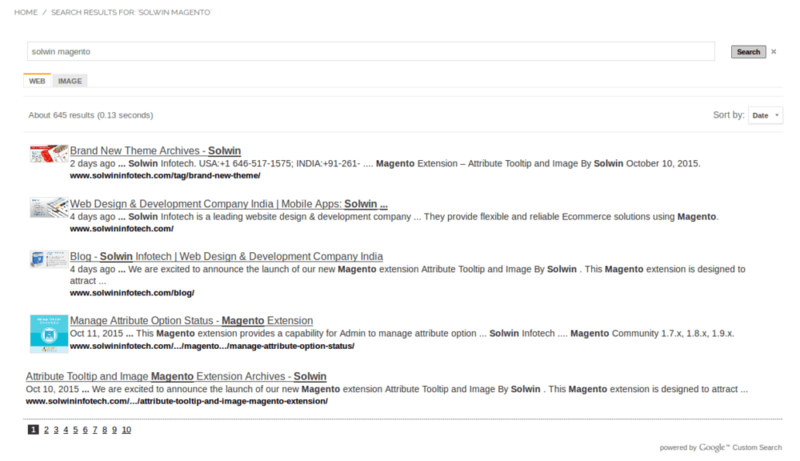 Powerful Google custom search integration extension to enhance search functionality of store. This extension works like a charm for my site. Thanks support team for giving quick reply. I appreciate your work and support. Is it compatible with Magento version 1.9.1? Can i set number of records per page? Yes. You can easily set no. of records per page from settings page. Can i add image search to Google CSE? Yes. You can enable/disable the same from Admin settings page. Is it possible to add/enable sorting options to CSE page. Can i add my custom code snippet?